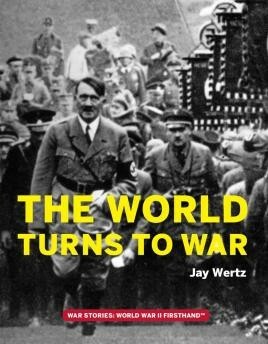 Firsthand recollections and perspectives from those who witnessed the Rise of Fascism, the invasion of Poland, and the 1940 German Blitzkrieg across northern Europe. The World Turns to War weaves stories of combat veterans into an event by event history of the war. Includes the words of veterans of all forces — in all theaters of operations. Illustrated by high-quality photographs, full-color images and detailed maps, War Stories: World War II Firsthand™ is the only multi-volume history of the war to include hundreds of first person interviews and oral history recollections of the soldiers on the ground, the sailors on the high seas and the airmen in the sky. Their words, augmented by quotes from military and political leaders and modern historical thought, give a complete picture of the war from those who fought it. This volume features firsthand recollections and perspectives from those who witnessed the Rise of Fascism in Europe, the invasion of Poland, and the 1940 German Blitzkrieg across Europe. An altogether superior account of WW2 based on quotations and observations by people who actually took part in the conflict. An amazing book.